Everyone has a process for finding the absolute best companies to work with, whether they're looking for accounting services, a new doctor, or a local trash hauler. Some take to the internet immediately and do search for all of the above, whereas others follow word of mouth, entrusting that their friends and family know quality when they see it. 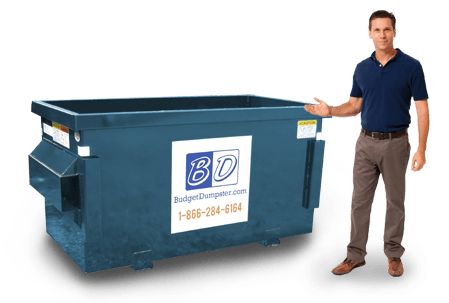 Regardless of which avenue you take when looking for a local trash pickup service, you'll inevitably find yourself doing business with Budget Dumpster. 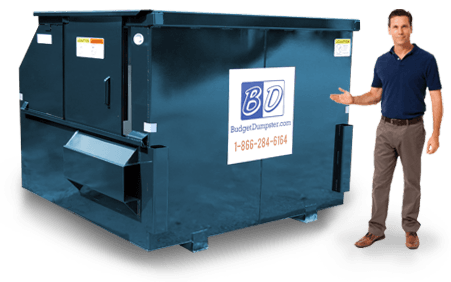 We have a sterling reputation for providing affordable commercial dumpsters with the kind of customer support that leaves a positive lasting impression. We treat all of our customers like a part of the family, giving them all due courtesy and respect while we help them out with their waste removal needs. 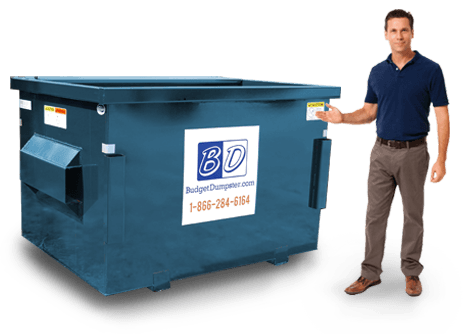 If you are looking for a dumpster in Montgomery, just give us a call and we'll be able to set you up with the perfect dumpster for your business. What makes our commercial dumpster service so easy to use? For one thing, we take the time to explain the terms of service in detail so all of our customers understand their options before singing on the dotted line. We also ensure that each customer gets the exact service they expect, which means moving schedules around to accommodate their waste stream. So if you need a weekly pickup for the first few weeks of the month, but then decide you need two pickups per week thereafter, we can accommodate your waste removal needs without issue. 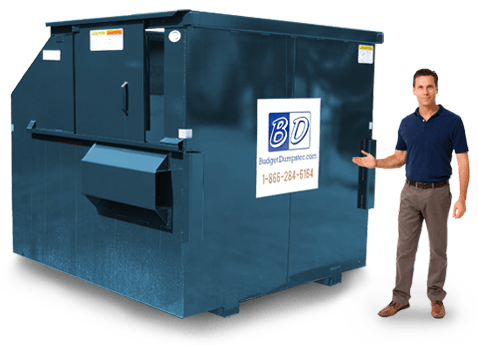 The 2 yard dumpster, though small and compact, is the perfect solution for any modest amount of trash. Commonly used by small shops and clinics, it allows a small business owner plenty of extra space while still maintaining a relatively large weight capacity. These units can hold approximately 800 lbs. of trash before reaching capacity, but this is a flexible metric depending on the volume of the debris itself. A 4 yard dumpster is a good size for small-medium sized businesses that need a larger capacity than the 2 yard dumpster, but still don't have the space for a particularly large bin. These sizes are typically no more than 5 feet tall, making them easy to fill from the front. If you are unsure what size your small business needs, this is a great starter choice for you. You can always upgrade your size at a later date! The 6-yarder is the best option for any large business that sees over 1400 lbs. of trash heading out the backdoor every week. These units are typically close to 6 feet tall, but they each feature a side door to facilitate the disposal of smaller trash bags or a whole bunch of items at once. This makes it easier for people to throw in a bunch of items at once, rather than having to prop open the top lid. The big old baddy of the dumpster world is the 8 yard dumpster. This size is built with large industrial settings in mind, capable of handling up to 1600 lbs. of debris at capacity. Large office complexes are also well suited for this size who have a mix of general trash & recycling, as well as bulky materials such as small office furniture or reams of old documents.